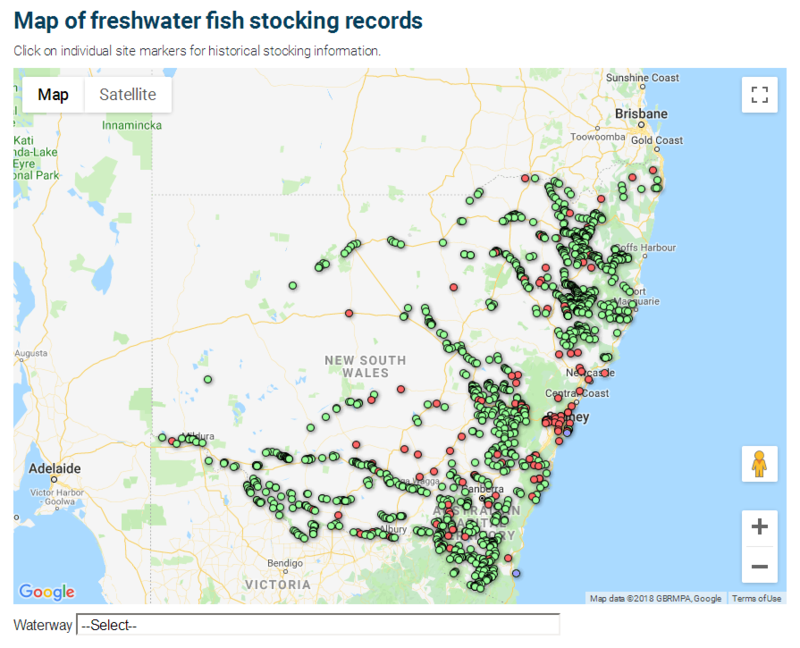 NSW has many stocked fishing waters, including trout and native fish. 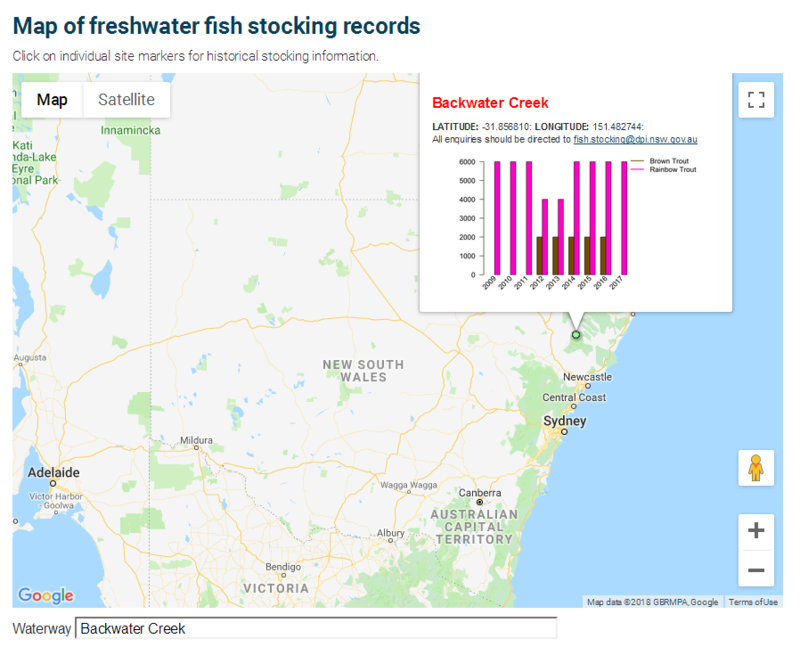 Accessing a history of stocking events in each waterway is easy thanks to the government’s Google map. There are markers on all the stocked waters with a popup showing the stocking history.